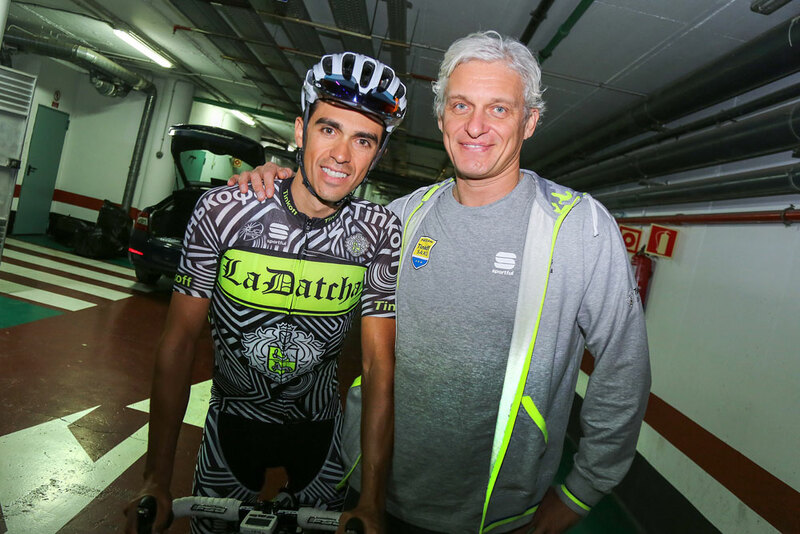 Opinion: Oleg Tinkov and cycling – the end of an uneasy relationship? Oleg Tinkov has tried to change pro cycling, but a growing frustration in lack of progress has led him to decide to leave the sport after 2016. Will cycling miss him? Controversial Russian businessman Oleg Tinkov has announced that he is to end his involvement in professional cycling after the 2016 season. His relationship with cycle sport has often been a tempestuous one: the 47-year-old sees himself as a moderniser, but his ideas have frequently been met with indifference or opposition, evidently causing him frustration. Now, it looks as though he’s had enough. Over the years, Tinkov has come up against team managers, race organisers and the sport’s governing body, the Union Cycliste Internationale (UCI). He has railed against the old-fashioned ways in which teams and the UCI conduct business, how they have failed to move the sport forward. There are exceptions: one manager that he has praised – and also poked fun at on occasion – is Sky team principal Sir Dave Brailsford, who Tinkov recognises has vision but has also called ‘boring’. Tinkov is right that the sport does need to modernise, and there are many that would wholeheartedly agree with this – including the UCI itself. But the big difference between Tinkov and others is regarding the pace at which this change can happen. The relationship with his riders has also seen highs and lows. He has often been quick to publicly criticise what he perceives to be a poor performance, and has more than once openly mentioned cutting rider salaries to match their achievements. Both Alberto Contador and Peter Sagan have been on the rough end of Tinkov’s impatience at their lack of results. “When the cyclists win, they want more money, but we don’t see the reverse of that,” Tinkov said about Sagan after his disappointing classics campaign. “I think riders should have raises with good results and cuts if they don’t, you don’t sign a three-year deal and then don’t bring in results. And then there’s the relationship he has with cycling fans. Broadcasting his thoughts via social media, he has not suffered fools – or those with a different opinion – gladly. Despite being a moderniser, some of his colourful Twitter opinions hark back to the Dark Ages: disparaging comments about women cyclists, and infamously making reference to American president Barack Obama being a ‘monkey’. He shoots from the hip, calling it how he sees it, which can be as refreshing as it is offensive in a world of carefully-manicured press statements. For all his references of business, Tinkov himself is an ardent fan, and one who evidently has emotional ties with cycling. It’s hard to resent him for that. Few, too, can question Tinkov’s financial investment in cycling. He states in an interview with CyclingNews published at the weekend, that he has put €60 million into cycling over the years, starting with his Tinkoff Credit Systems team in the mid-2000s, and then moving to co-sponsorship of Bjarne Riis’s Saxo Bank squad. Tinkov subsequently bought the team from Riis in 2014 keeping the Dane on as manager, but the two parted ways apparently acrimoniously in March this year. Tinkov said that his business has got all it can out of sports sponsorship. As it tightens its belt in the face of Russia’s falling economy, the marketing budget is better spent elsewhere and with more tangible results. It’s feasible that he could even sell the team back to Riis. So Tinkov’s decision to move out of cycling is based on both business and personal reasons. Cycling itself will miss his money, but it’s possible that it will not miss some of his opinions.